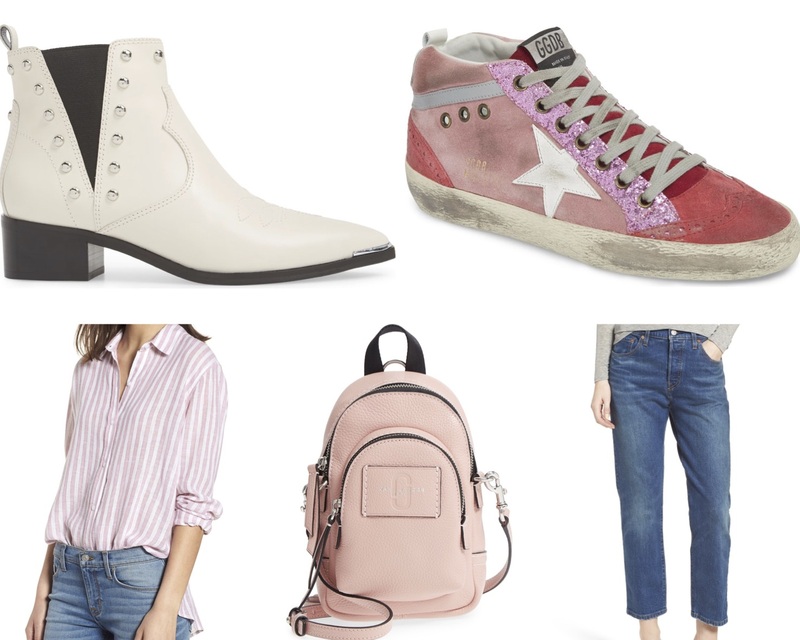 Nordstrom Sale Wishlist | Priya the Blog | life & style in Nashville & beyond! Well, I can't believe I've become one of those bloggers, but I do have a little wishlist for the big Nordstrom sale this year. I tend to shop seasonally (like, "a few new pieces for Spring" or whatever) and while I got a haul at Forever 21 at the start of the Summer, that was obviously fun, trendy pieces (sets!) that won't last long and that's fine. These items from Nordstrom are all more classic, spendier pieces, that will hopefully last for a long time. Also for whatever reason I am being really careful about spending right now, blame turning 27, I guess? I think the right word is intentional. I'm trying to be intentional about what I spend money on, instead of mindlessly spending on things I don't need. One of my goals for a whileee has been to create a budget and stick to it, mostly because i KNOW that's the responsible thing to do and will keep my spending in check. So far this month I've been good about using Mint to track, and I'm hoping it becomes a habit going forward. All that to say -- here's what I have my eye on, I might buy it all, I might buy none of it, but I'll keep you posted either way! I've wanted white booties for a while now, and how f-ing cool and rockstar and Nashville are these?? Plus, comfy. I was only looking at heeled booties but these are probably super comfortable, whoami? This is when I realized there's not all that much included in the Nordstrom sale...(which makes it totally over-hyped...) but in a twist of fate, if these are included, MAYBE I will finally take the plunge. My friend Emma just told me these are super uncomfortable which makes this a totally ridiculous purchase. I am always on the lookout for more work appropriate blouses and I hear great things about Rails! I need a new crossbody, I love Marc Jacobs, and i LOVE backpacks! How sweet is this? Denim seems to be the standout of this sale. SO many great cuts, colors, and brands (though not Mother, which was a let-down.) These seem to be a cross between boyfriend and girlfriend jeans and how smokin' do they look with a mule? Because I literally have thrown away all my other pairs of sandals and have been living in my white Birkenstocks. I think it's time to buy another pair! This sale is a good time to buy Zella leggings. I have a full-length pair that...I really do live in (I am wearing them right now) and they have held up pretty well, especially considering the price point. You already know. These have been on my wishlist for a minute, but now in Fall colors? Ooh. An inky blue seems like a less obvious choice than black. Ok these are already SOLD OUT (that's what I get for not being a card carrying member) but I have linked to a very similar pair (just minus the knee holes which wouldn't be so bad.) I have debated forever about nicer denim vs. Old Navy, and this could be a cool time to try out something a little nicer. I love my rag & bone booties and I bet their denim is great too. My little black Zara loafers are running out of time but I really love them so maybeee it's time to find a nicer alternative? I like that these are a little edgier looking than a penny loafer, but I don't like that they look more like "flats" than loafers. Honestly this is probably the only thing I will actually buy because a) they are hallowed and b) they are actually included in the sale! They also have a moto pair which look cooool but are like $20 more? These would be such a dream this Fall. Let me know what you have your eye on in the Nordstrom sale OR otherwise this month!